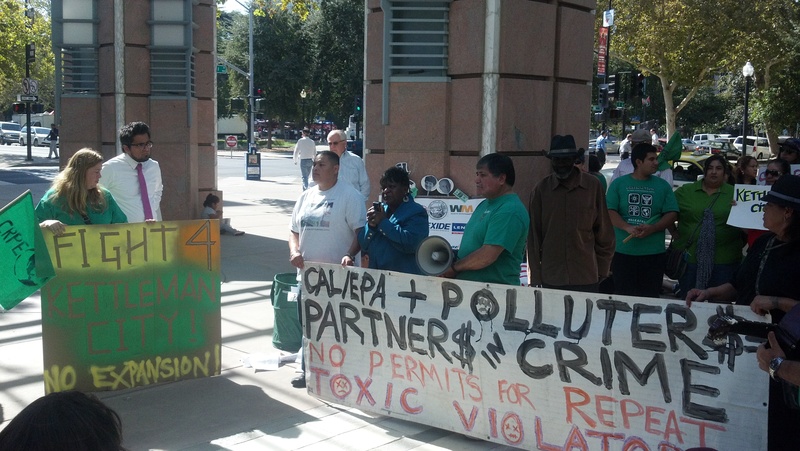 Members of several organizations in the California Environmental Justice Coalition (CEJC), including VIP, met on Thursday with Barbara Lee, the newly appointed Director of Cal EPA’s Department of Toxic Substances Control (DTSC) to discuss the detailed list of recommendations for improving DTSC that CEJC recently submitted. After discussing the recommendations, DTSC’s recent permit denial to Exide Technologies in East LA, and their decision to allow the toxic landfill expansion in Kettleman City, members of El Pueblo Para El Aire y Agua Limpia de Kettleman City (People for Clean Air & Water) and Greenaction for Health and Environmental Justice hand delivered a copy of the federal and state civil rights complaint filed against Cal EPA and DTSC to Director Lee. Kettleman City, CA – El Pueblo Para El Aire y Agua Limpia/People for Clean Air and Water of Kettleman City and Greenaction for Health and Environmental Justice today filed administrative complaints charging the State Department of Toxic Substances Control (DTSC) and California Environmental Protection Agency with racial discrimination in violation of federal and state civil rights laws due to their approval of the expansion of the Chemical Waste Management Kettleman Hills Facility hazardous waste landfill. The federal complaint is filed pursuant to Title VI of the U.S. Civil Rights Act of 1964 and the state complaint is pursuant to California Government Code 11135 (state’s civil rights law). As recipients of federal funding from the US Environmental Protection Agency and state funding from the state legislature, DTSC and Cal EPA violated civil rights laws by taking actions that have discriminatory and disproportionate impacts on Latino and Spanish-speaking residents of Kettleman City. The civil rights complaints document that DTSC and Cal EPA improperly relied on Kings County’s racially discriminatory permit process that excluded Latinos and Spanish-speaking residents from meaningful participation in the process. For example, at the County’s “public hearing” in October 2009 on the proposed dump expansion, Latino Spanish-speakers were allocated only half the time to testify as English speakers. Residents attending Kings County permit hearings were also met with K-9 police squads and heavy police intimidation. Kings County refused to translate any of the permit documents into Spanish, yet DTSC and Cal EPA relied on those documents in their approval of permits for the expansion. The state’s permit decision acknowledged that Kettleman City residents are highly vulnerable and at risk, and acknowledged that the massive dump expansion would have significant negative impacts that could be not mitigated, but issued the permit anyway – an action with a negative and disproportionate impact on a protected class of persons in violation of state and civil rights laws. “During the permit process, we were told that if you spoke English you got 5 minutes to testify. If you spoke Spanish you only got half of that time. If this is not racism, then I don’t know what is. When I asked for the same time to speak as an English speaker, I was dragged out of the hearing by 8 policemen,” said Ramon Mares, grandfather and monolingual Spanish-speaking Kettleman City resident. “They think that we are a small town of Latinos and that it’s easy to dump on us. I am worried that we will see more children with birth defects in town. I work at the local school and see many children that already have asthma,” said Nancy Corona, 19 year old resident and El Pueblo member. 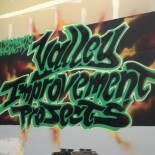 This entry was posted on March 22, 2015 by valleyimprovementprojects in Environmental Justice and tagged California Department of Toxic Substances Control, California Environmental Justice Coalition (CEJC), cejc, civil rights complaint, DTSC, dtsc director barbara lee, kettleman city.